We offer an extensive range of Vacuum Receiver in all the capacity. Leak proof and anti-abrasive nature of our vacuum receiver ensure low maintenance cost. In addition, we provide timely delivery to attain maximum level of customer satisfaction. With development and production of receivers, we advance as one of the world's leading suppliers of Concentrated Solar Power plant components. 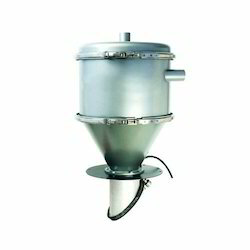 Owing to the rich industrial experience and expertise in this business, we are involved in providing a supreme quality array of PP Vacuum Receiver. Due to the support of our infrastructure, we are able to offer a wide array of qualitative Vacuum Receivers. 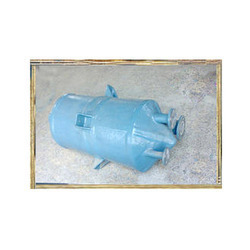 These Vacuum Receivers are broadly used in metal refining industry, chemical process industry, food processing industry, pharmaceutical industry, pulp and paper industry, metal finishing industry and fertilizer industry. We are engaged in offering an exquisite range of Vacuum Receiver which has achieved wide appreciation in international screen for its quality standards. Fabricated using premium grades of raw material these are used in diverse application areas of chemical industry.